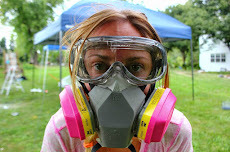 Don't forget to stop and eat the roses: The STEAMED ARTICHOKE - A Recipe Tutorial! 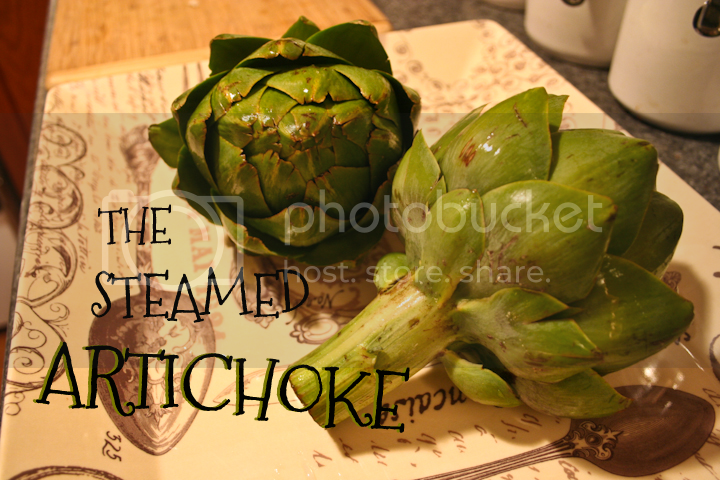 The STEAMED ARTICHOKE - A Recipe Tutorial! 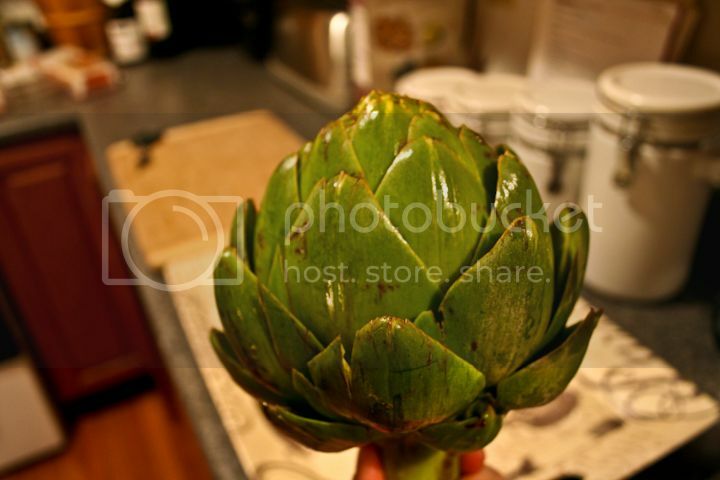 If you are an artichoke fan like myself, then you are fully aware of the beauty and awesomeness of the artichoke. If i could only have one food to eat forever, it would be this one. For those who have never had one and are curious as to how exactly to cook and eat it, i am here to show you. The artichoke is about the experience. You eat the leaves, one by one, on a mission to the heart. The glorious wonderful heart. 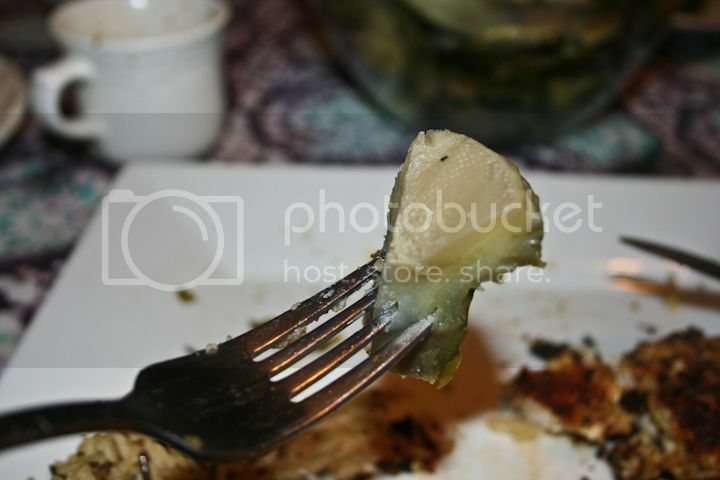 In my family, the only time you ever give someone a bite of your artichoke heart, is if you really really LOVE them. 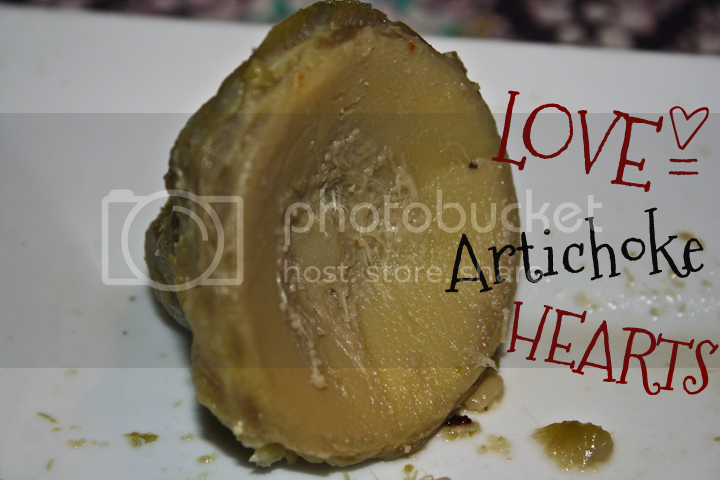 It means a lot to give away a piece of your artichoke heart. So make sure you think this through. 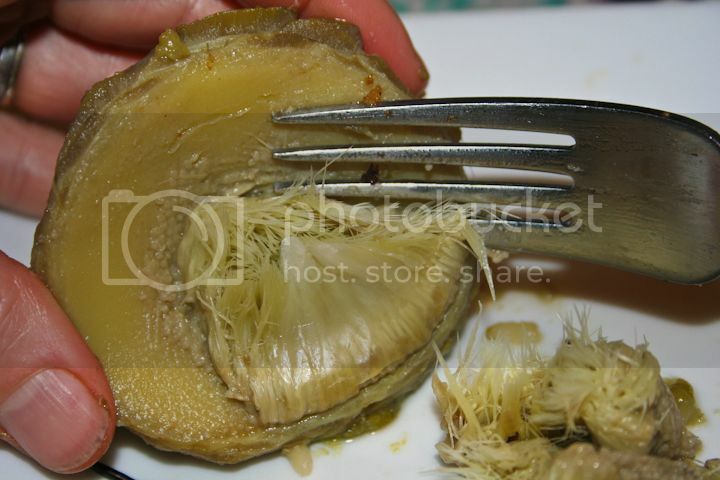 Before i explain how to cook an artichoke, first you must know how to pick one. Their season is Spring & Summer with another peak in mid Autumn. The best places for them are Wholefoods and other high quality grocers. 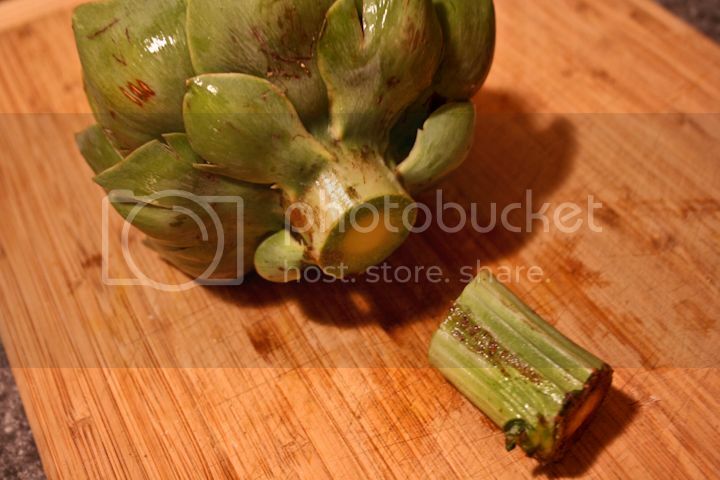 I go to the store ALL the time and find totally worthless artichokes. Maybe people buy them for their hearts only? But if the leaves are worthless, then the heart is typically not that great. 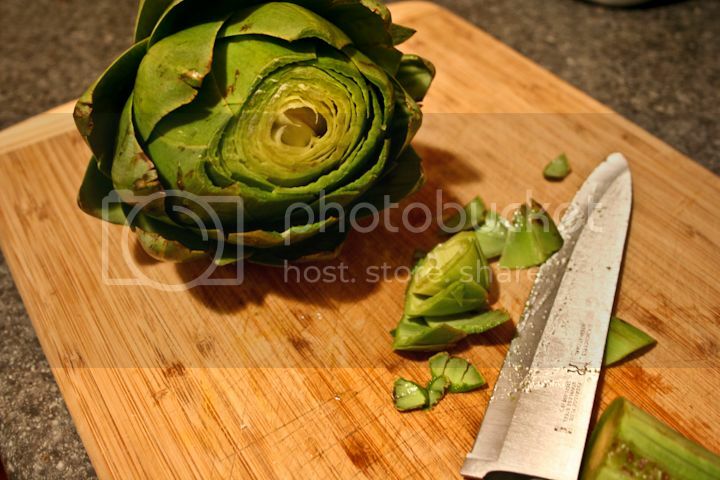 Find large, FIRM, HEAVY artichokes with bright green or purple tinged leaves and not much browning. Brown or white streaks indicate frost bite. They are edible, but look for ones with the least browning. The leaves should be thick and squeaky! Yes squeaky. If they are thin and look brittle, don't bother. This is the best one i could find for the month of November. 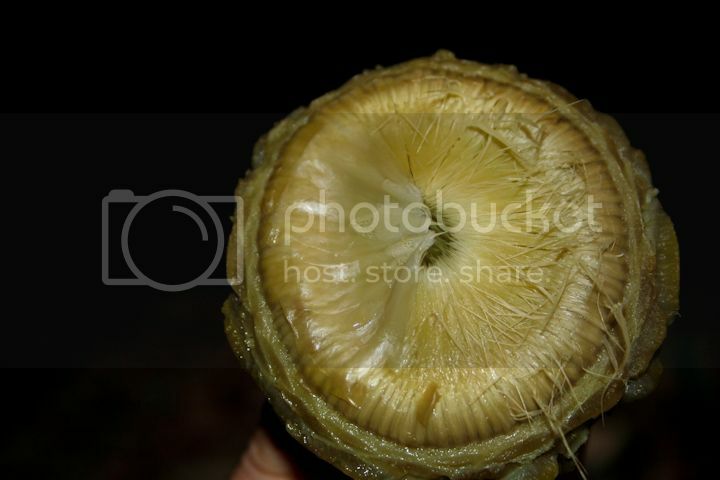 As you can see, it has a little bit of brown streaks, but to me, this is an average artichoke, worthy of eating. As long as it has weight and thick squeaky leaves, i am happy. Cut the very top off and discard trimmings. 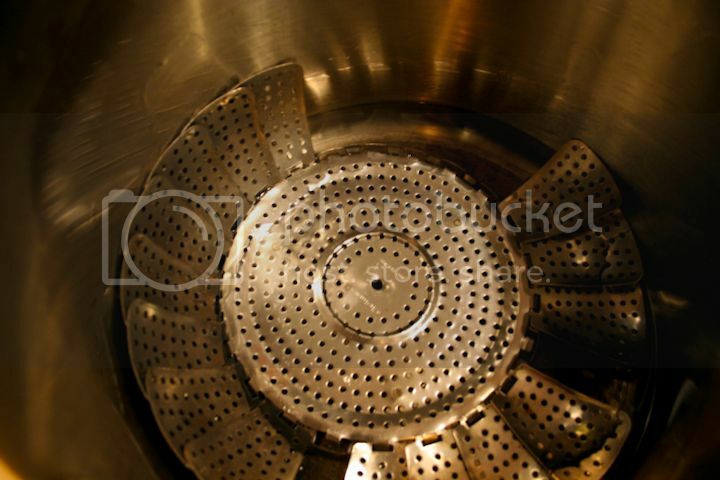 This is optional really, but allows for faster cooking. Boil water. Water level should be just above steamer basket. 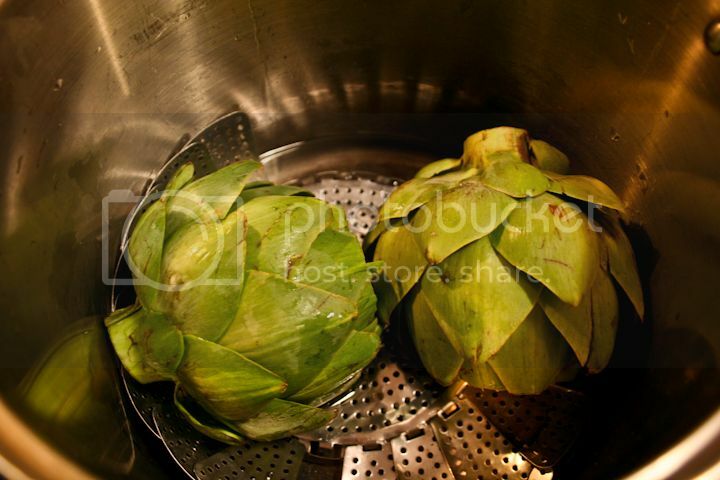 Place artichokes in pot and cover. Keep an eye on water levels. Sometimes, if cooking too hot, the water can evaporate and burn, leaving a terrible taste to your chokes. Always keep water in pot. 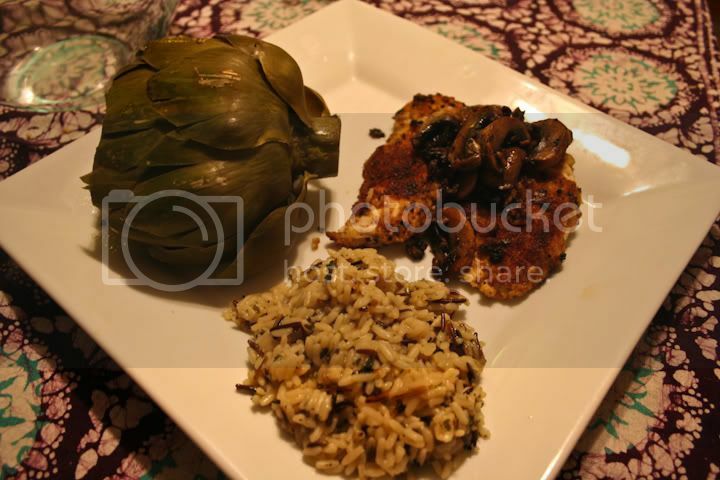 I served my artichoke as a vegetable with LEMON Breaded Sauteed Garlic CHICKEN and long grain & wild rice. To eat the leaves, you scrape the leaf with your teeth, eating its "meat" basically. While eating, always have a discard bowl for the leaves. Above, is the amount of leaf you physically eat. Discard the rest. 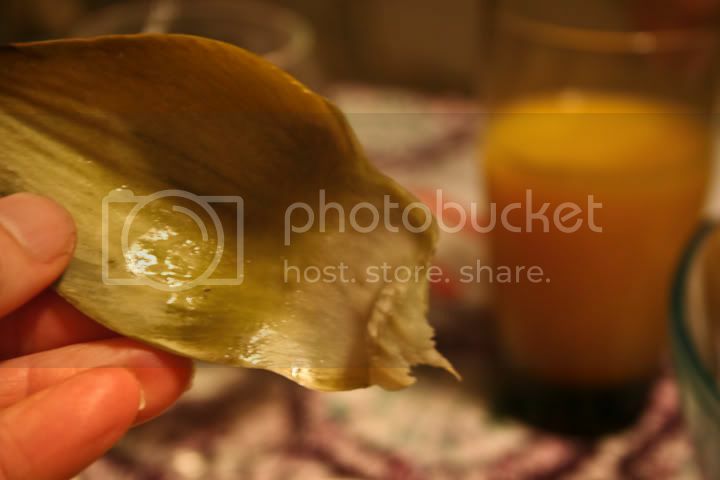 BUTTER DIP: I personally dip my artichoke in a lemon butter sauce. Some people dip them in a variety of sauces, but lemon butter is most common and MOST delicious! I like to melt half a stick of butter, squirt lemon juice in, add rock salt and my favorite - Mrs Dash for a combination of the perfect spice. Add seasoning to taste. NOTE: The inner leaves get softer and smaller as you make your way to the center. I find eating a handful at a time is fun and scrumptious. Just be careful because the tips are sharp! Once you are done eating your way to the magical center of the artichoke, you will find yourself in this bizarre hairy place. Yes, hairy. The HEART, is protected by hairs as this amazing food is actually a FLOWER. A wonderful beautiful flower. Using a fork, scrape away the fuzzyness and discard. 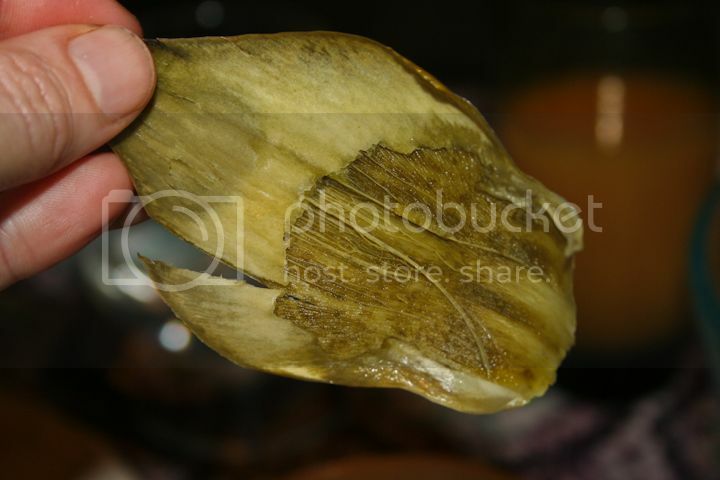 Cut into sections, dip into butter and devour for a mind boggling yummy experience. If anyone tries to eat one of your heart pieces, you may stab them with your fork, or if you really really love them, you may share.